Jane, your story was lively, beautiful, magical and inspiring. I’ll never sing that song now without thinking of those villagers and that girl who changed her world! — A. F.
Experience the Wild and Welcoming! Bardic harper and storyteller, Jane Valencia weaves tales, song, nature’s secrets, and a bit of faerie into performances and workshops for children, adults, families, and communities. She also teaches Harp and Storytelling. Jane draws on earth-based wisdom ways and a deep love of nature to share stories that coax our imaginative inner wisdom into the foreground. Her offerings that range from concert performances performances for kids with special activities, to reflective, deeply-nourishing layers added to a retreat or workshop, to special teachings, workshops, and consultation on ancestral wisdom ways that can be applied to daily life and community. Harp & story at book readings, outdoor education programs, schools, family nature events, private occasions, and libraries. Performances and workshops at the International Society of Folk Harpers & Craftsmen (ISFHC) , the Mythopoeic Society Conference (MythCon), Harpers Hall retreats, concerts, and other events, and more throughout the US. 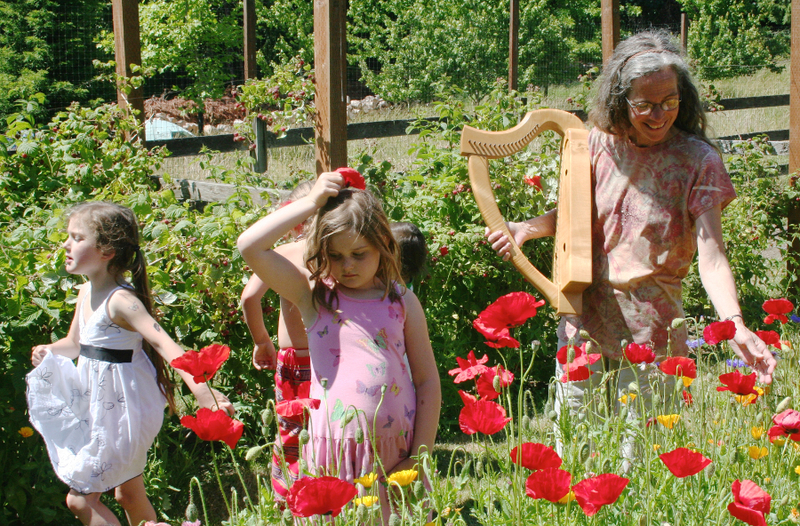 Magic-of-nature learning experiences with harp, story, and song for kids at events like the Traditions of Western Herbalism Conference, community festivals celebrating Day of the Dead, Winter Solstice, Summer Solstice, and more. Beautiful, meditative harp music for such events as labyrinth walks, gatherings, celebration of life services, and more. 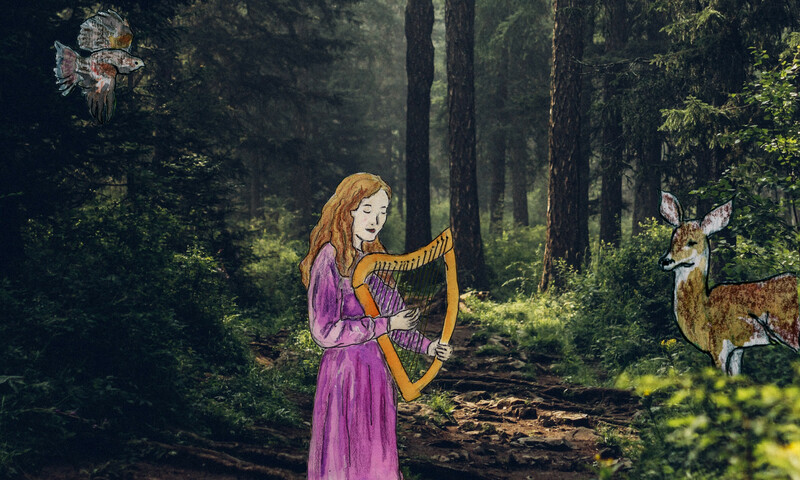 Contact Jane to discuss how harp & story, magic-of-nature activities, or beautiful harp music can infuse wonder and connection into your upcoming event. 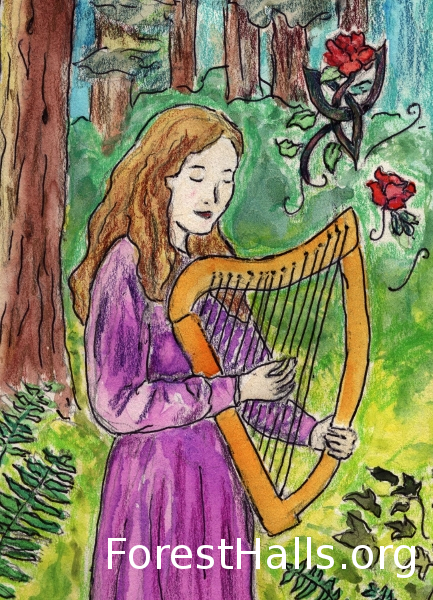 Jane shares harp, story, and the magic of the season at a Summer Solstice Celebration.